This sofa has a transitional style that borders between the fine details of classic designs and the relaxed look of more casual furniture. 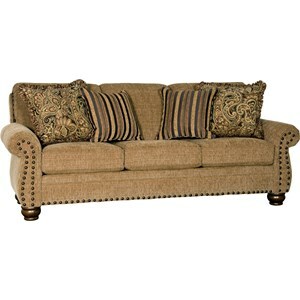 Design elements include rolled arms, light button tufting, welt trim and tapered legs. 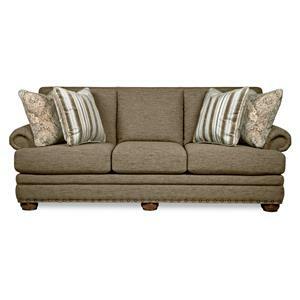 The 4040 Transitional Sofa by Mayo at Knight Furniture & Mattress in the Sherman, Gainesville, Texoma Texas area. Product availability may vary. Contact us for the most current availability on this product. Fabric Options Mayo offers a multitude of beautiful fabric and leather options. 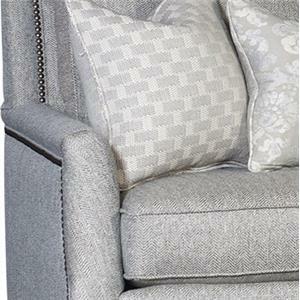 They also offer a COM fabric option (customer’s own material) for their upholstered items. Only full, top grain leather hides are used in the Mayo leather program. 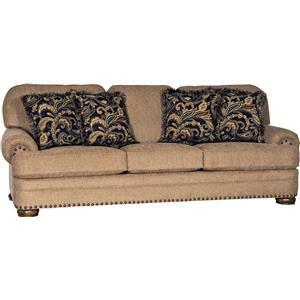 Transitional style will be yours with this decorative sofa collection. This group is comprised of a sofa, loveseat, chair and ottoman (though some items may not be pictured). 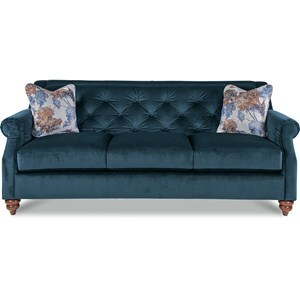 The design includes rolled arms and light button tufting on the base rail of each piece, while square cushions and tapered legs keep each item looking relaxed and casual. Like the style but not the color? Items in this collection can be customized with an assortment of fabric and leather options. The 4040 collection is a great option if you are looking for Transitional furniture in the Sherman, Gainesville, Texoma Texas area. Browse other items in the 4040 collection from Knight Furniture & Mattress in the Sherman, Gainesville, Texoma Texas area.